The photo of the month in November 2018 goes to Brad Gow for his structural drying job using Drymatic Heat Drying Equipment. 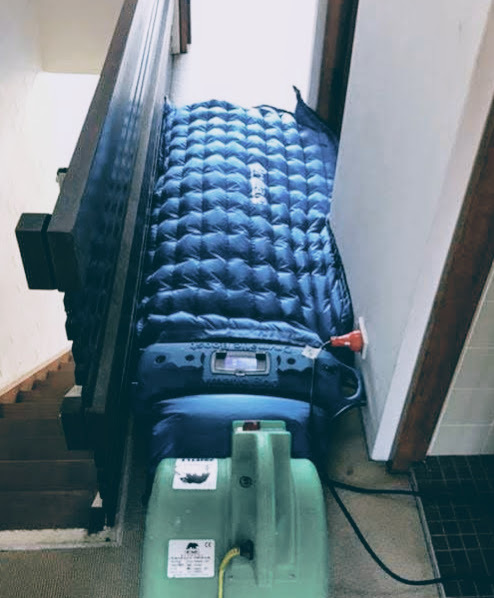 Brad is using a Drymatic Boost Bar connected to a Drymatic floor mat to dry wet flooring in a hallway. The Fan to Boost Bar Connector feeds air from a fan into the Boost Bar which is then blowing up the floor mat. This dries any wet area very efficiently and quickly. Best of all: It took Brad only 3 minutes to set the job up. Drymatic is the way to go!